Mother’s day is right around the corner. Each and every day I thank God how lucky I am to have a Mother who is kind, selfless, caring, and encouraging. My mom lifts me up when I’m down, encourages me to always be the best person I can be, and absolutely loves me unconditionally. After my father passed away several years ago, my mom and I became inseparable. I’ve learned to keep the people you love close, let the little things go, and be appreciative of what you have. Giving back to Mothers is such a hard thing to do. How can you give someone something who has given you everything? You really can’t. But making her pancakes is pretty close. They’re made with love after all. Buttermilk: The tang and richness it brings to baked goods is undeniable. I promise you’ll notice the difference. 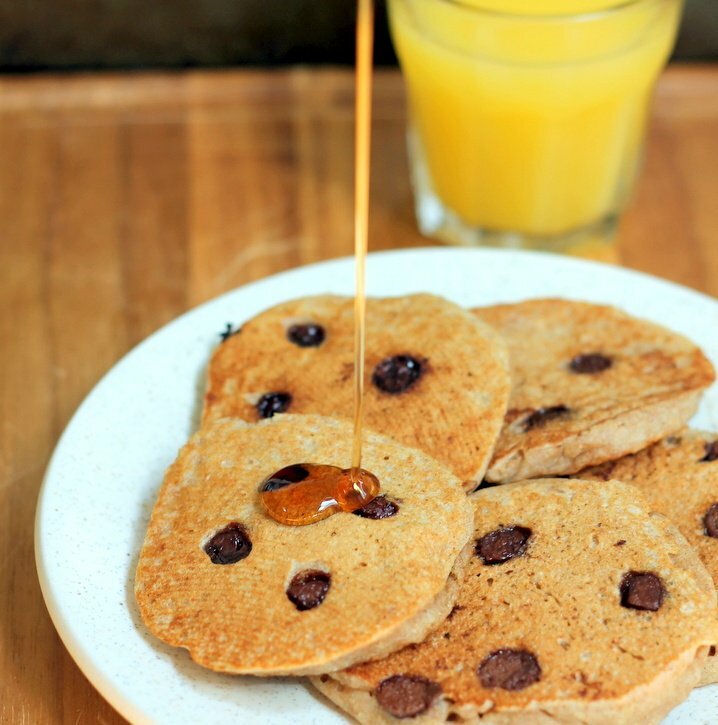 It’s slightly acidic and so when mixed with baking powder, it will allow the pancakes to rise and keep them from breaking down. 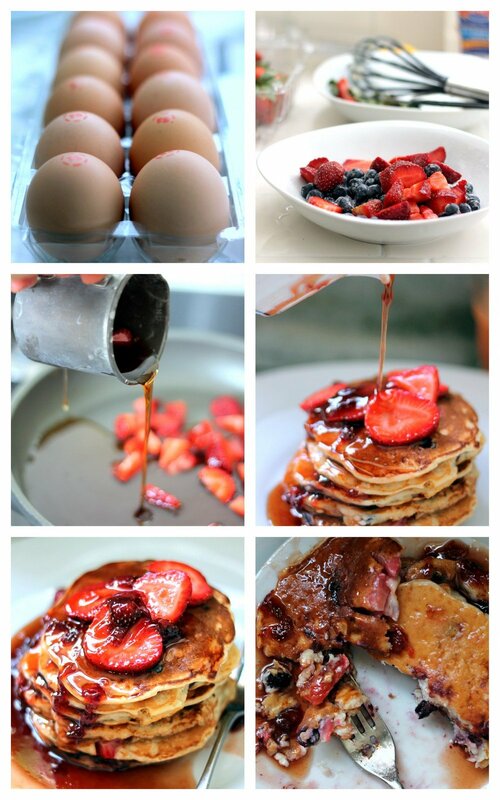 The result is a tender fluffy pancake that will leave you speechless – promise. 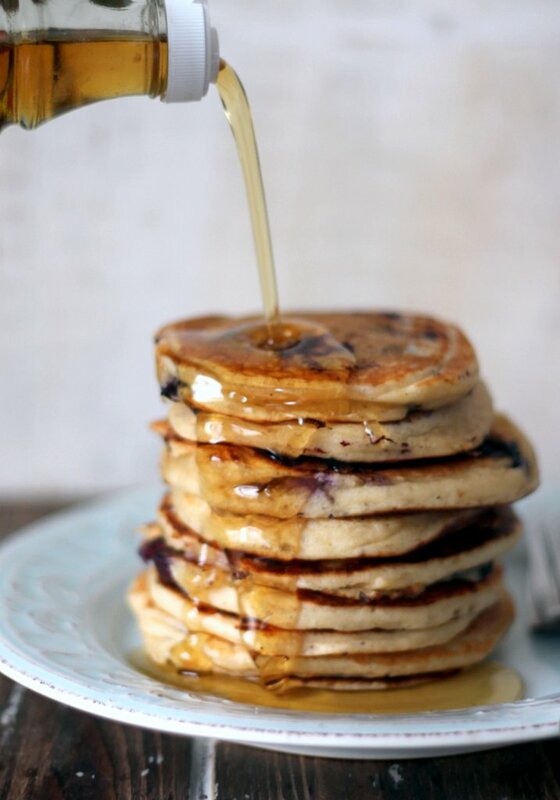 Greek Yogurt: Adding greek yogurt to pancakes makes them the holy grail of breakfasts, I swear. 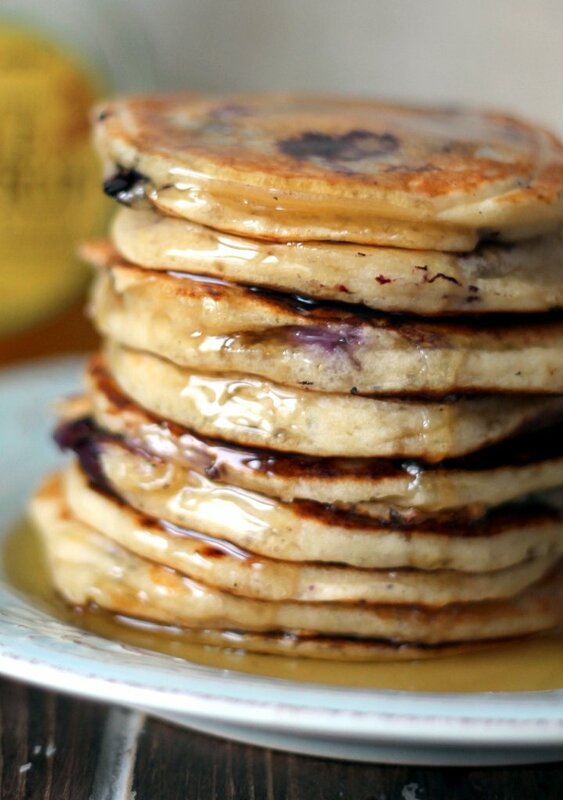 It helps to thicken up the batter, but still leaves you with the lightest pancake. Pretty magical. 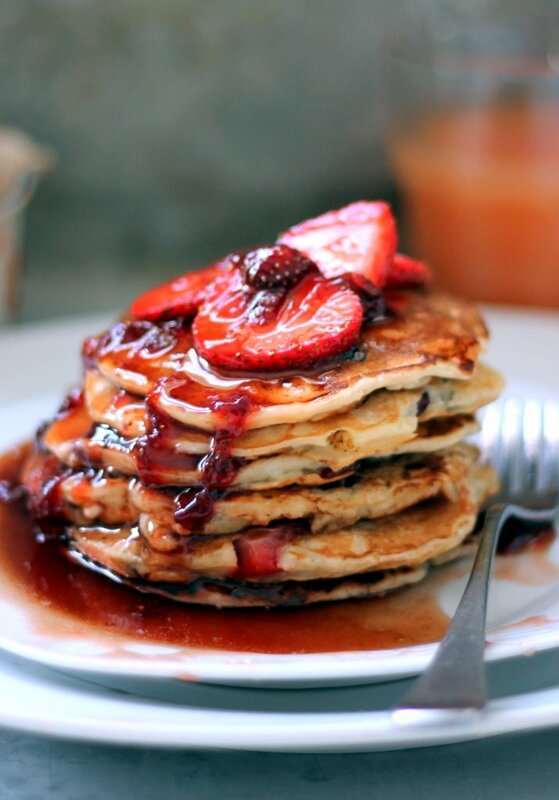 Why are pancakes so yum? Maybe because similar to cake, you can make a million versions and they always taste incredible. Sweet, savory, melt-in-your mouth, hearty, and always lovely. 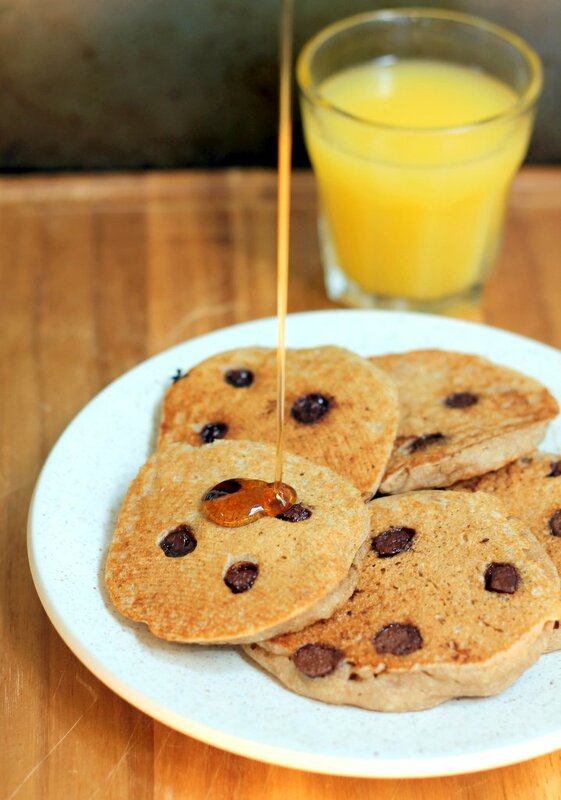 These particular pancakes were actually a happy accident. 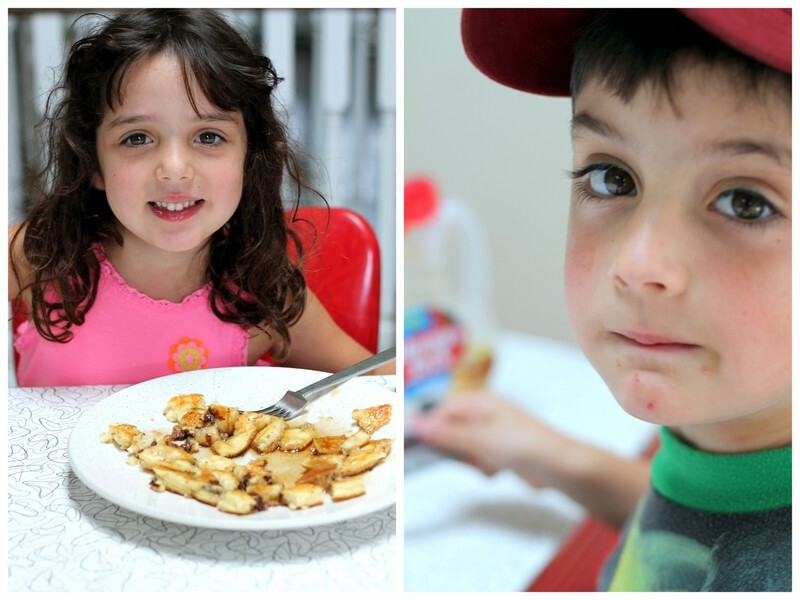 Last weekend I was babysitting and was experimenting with different pancake recipes for the kids. After cooking them, I realized that I had forgotten to add the egg to the batter! 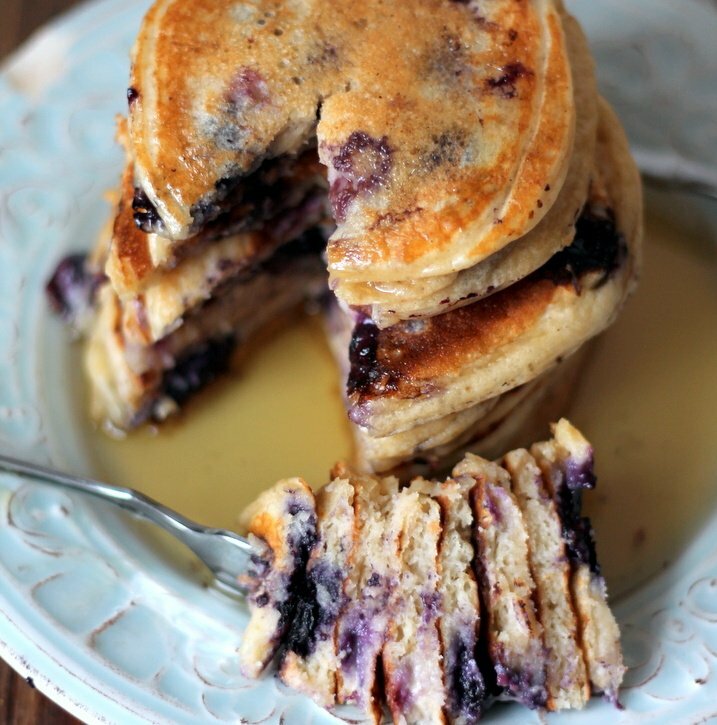 But no worries, these pancakes totally work without any eggs… they’re fluffy, moist, tender, and slightly sweet. There are usually only two things on my mind when I roll out of bed in the morning: coffee and checking emails. 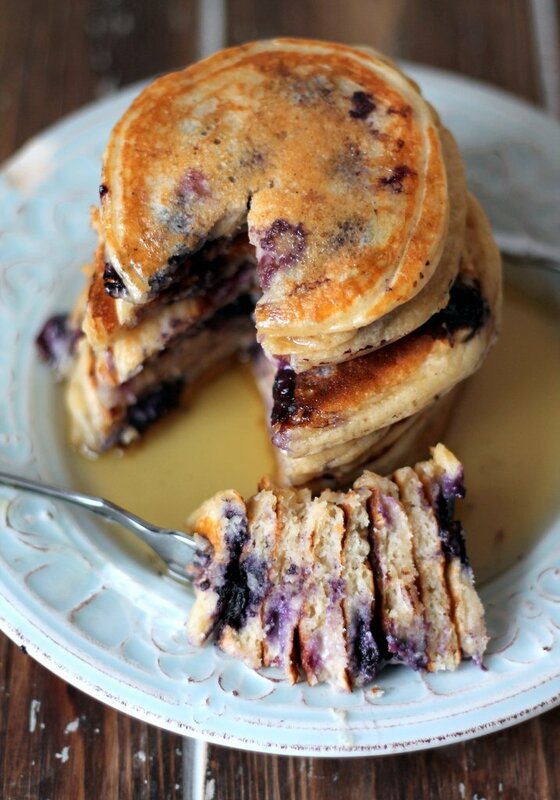 However, this morning I woke up with a huge craving for a stack of fluffy blueberry pancakes. Wait, that’s not a big surprise is it? 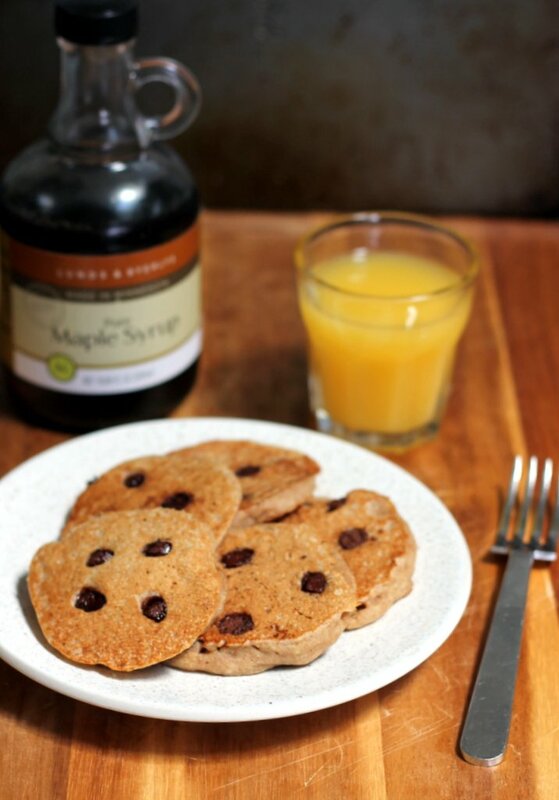 My Instagram account is populated with pictures of pancakes plus I even had them for dinner last night. 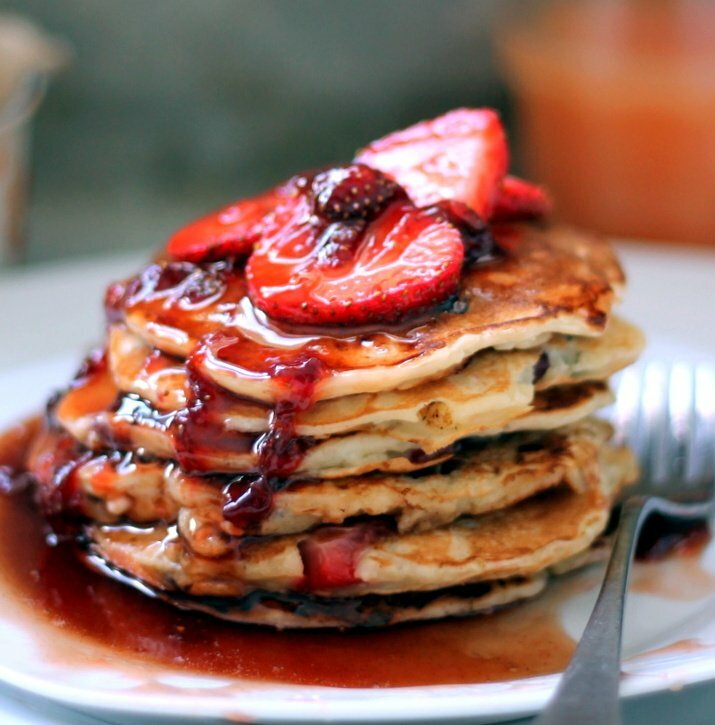 Don’t judge, you know Brinner (breakfast for dinner… duh) is pretty much the best thing ever. Thick. Fluffy. 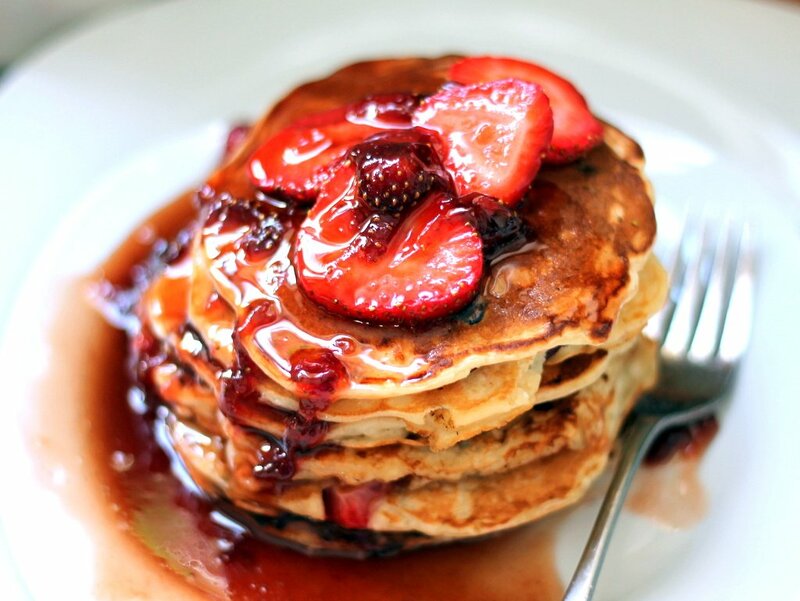 Melt-in-your-mouth. Unbelievable. Crispy edges. Perfectly golden. Outrageous. Awesome. Fantastic. Lick-your-plate good. There, now do you get my point?